"I'm creating a flash cartoon, and I want to do some edits and add some effects and new footage. However, it's really a pain to export SWF to video as the audio is a bit out of sync in some parts. I find that to convert SWF to MOV may be feasible as I can edit it on iMovie. But I don't want to spell out for some crappy converter, any help for this?" How to Ensure Output Video with High Quality? 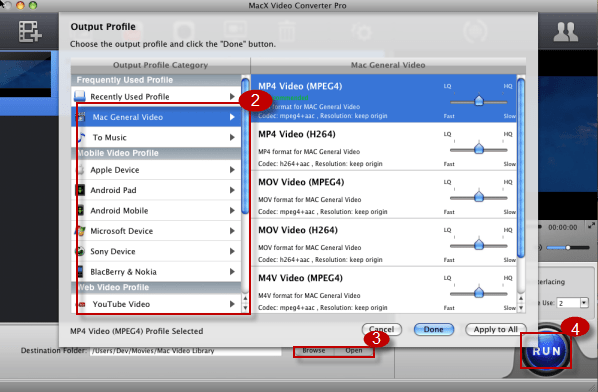 MacX Video Converter Pro can! Built-in with High Quality Engine and constantly optimized conversion engine, this program can convert SWF to MOV format with maximum quality reserved, up to 98% quality kept. So you can still clearly see the freckles on Emma Stone's face via the output video. With 370+ video audio codecs supported, this cover-all video processing tool can also transcode any video format to MP4, AVI, H264, HEVC, MKV, MOV, VOB, FLV, WMV, VP8, MP3, iPhone ringtone, etc. as well as iPhone iPad, Samsung, Sony, Huawei, Xiaomi, Nokia, Blackberry, Microsoft, Surface Pro 4, Xbox One, PS4, etc. with 420+ output profiles. Unique Intel/Nvidia/AMD hardware acceleration enables you to decode SWF and encode to MOV format at 250-320FPS, 5X faster than any competitor. Why Need to Convert SWF to MOV on macOS? Reasons: In spite of the fact that SWF file has many advantages including easy graphics scaling, fast loading, small size, smooth compression and transparency support, the Achilles heel of the SWF files is its poor compatibility which prevents you playing or editing a SWF file unless Adobe Flash Player, a browser plugin or a standalone player has been installed on your computer. SWF animation also fails to open on any iDevice (iPhone, iPad, etc) which enforces numerous iDevice users to turn their back on files in this format. 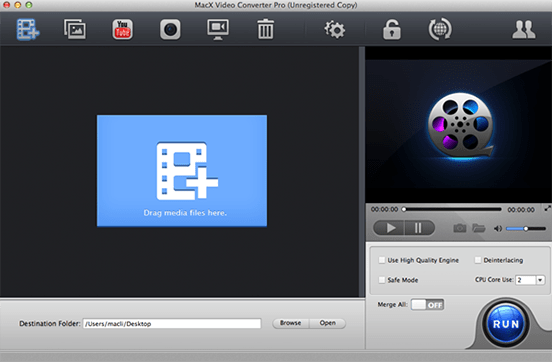 Solution: MOV format, developed by Apple, is the primary video format used for saving movies and other video files which is compatible with both Macintosh and Windows platforms. Also, the MOV format is default format of Mac OS X and works perfectly well with Apple devices (iMovie, iTunes, QuickTime Player, iPhone, iPad, Final Cut Pro, etc). Converting SWF files to MOV on mac thus seems to be a good alternative. Follow the step-by-step guides to change video from SWF to MOV format on Mac in minutes. After free downloading this video converter on Mac, launch it on your PC. Click "Add File" to add the SWF files. You can choose different formats for different files thereon. Here you can just choose MOV as output format from the format list. You can also change audio and video parameters and make some edits based on your needs. Tips: You can directly convert SWF to various portable devices such as iPad Air, iPad mini, iPod touch, iPhone, Samsung Galaxy S series, Amazon Fire Phone, HTC One, game consoles, etc. Specify output folder on your computer to save the output files. Click the "Browse" button to select a folder where you want to place your MOV files. After the above steps, click the "RUN" button to start converting SWF files to MOV. Tips: This SWF to MOV converter can actually transcode among all the SD and HD video formats such as MP4, MOV, FLV, WMV, AVI, MKV, M2TS, MTS, TS, AVCHD and more, like WMV to MOV, MP4 to WMV, MOV to MP4, VOB to MKV, WMV to MP3 etc. Furthermore, online YouTube video downloading, slideshow making, screen recording, output video editing and many other useful functions are also integrated.